Yasukyni Shrine (靖国神社, Yasukuni Jinja) is a Shinto shrine located in Kudanshita area of Chiyoda ward Tokyo where close to Imperial Palace. The shrine was established in 1869 on the orders of Emperor Meiji to enshrine souls of about 2.5 milion Japanese men, women and children who have died in several wars for their country and sacrificed their lives to make current peaceful Japan. Yasukuni Shrine has records that describe details of everyone enshrined such as name. place and date origin and of death. The enshrined victims were died for the following wars, Satsuma Revelion, Russo-Japanese War, First Sino-Japanese War, First World War, Manchurian Incident, Second Sino-Japanese War and Pacific War. 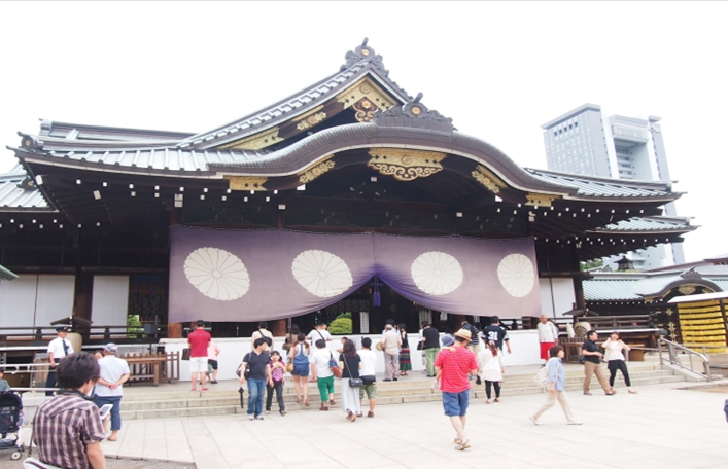 Yasukuni Shrine is the second largest shrine in Tokyo with 99,000 ㎡ following Meiji Jingu Shrine with 700,000 ㎡. 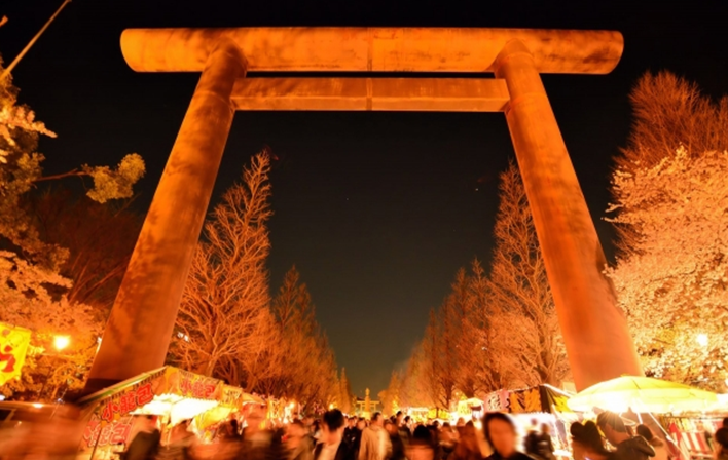 And also the shrine has biggest Torii (Gate of shrine) in Japan that overwhelms visitors by the size. On the ground of Yasukuni Shrine, there is a buliding named “Yushukan”, a large museum that commemorates Japan’s wars with detailed information in English. 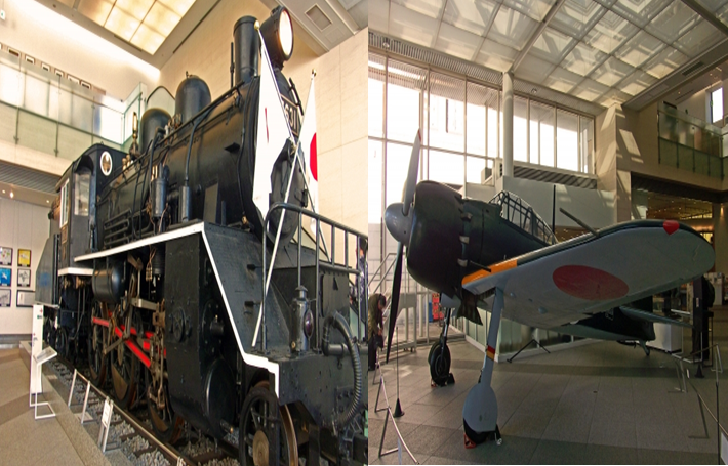 The large museum desplays histrical things such as Steam Locomotive C56 and Zero Fighter Plane. Visitors able to enjoy the shrine’s seasonal landscape as hundreds of cherry trees are standed on the grounds including Tokyo’s representative cherry tree that is used for declaration of official opening of the blossoms in Tokyo. Kudanshita station on Tozai line, Hanzomon line, Toei Shinjuku line: 5 minutes by walk.